Wine wasn’t the first thing on the minds of the initial English settlers who reached the shores of Jamestown in 1607, but it also wasn’t the last. Captain John Smith wrote about America’s native grapes just two years later, kicking off interest in what would eventually become the oldest wine growing region in the US. More than 400 years later, wine is still very much on the minds of Virginians — one might say more now than ever before. Virginia is the sixth largest wine grape producer in the US, home to around 300 wineries that attract some 2.2 million visitors every year. Since 2010, the number of wineries has increased more than 30 percent as winemakers from around the country and the world are leaving big-name regions to come to Virginia. And while the state has plenty of wine history, those winemakers aren’t coming for the past. They’re coming because Virginia has no set rules, no market pressure dictating which grapes they can and can’t use, and few (if any) corporate-owned wineries making wine for the masses. In short, Virginia is where experienced winemakers can come to innovate and new winemakers can come to make their mark. 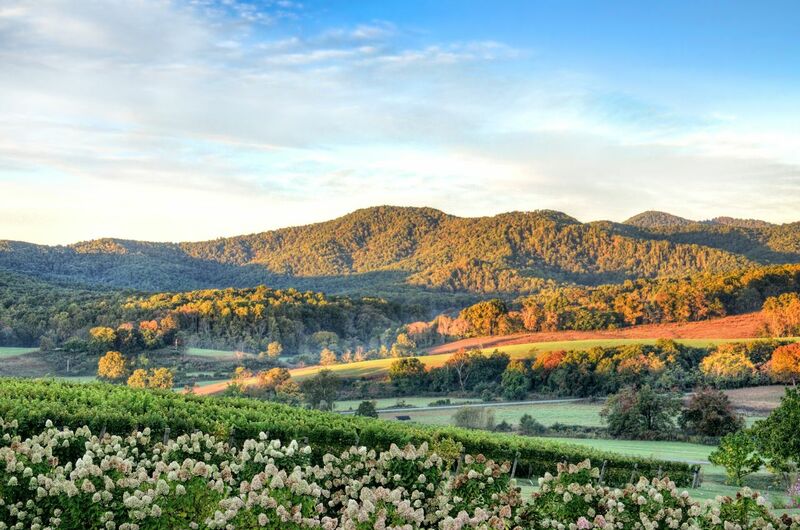 Virginia is home to seven American Viticultural Areas that span from the coast to the Blue Ridge Mountains: North Fork of Roanoke, Northern Neck George Washington Birthplace, Rocky Knob, Shenandoah Valley, Virginia’s Eastern Shore, Monticello, and Middleburg. The vineyards grow traditional Bordeaux grapes like cabernet franc and petit verdot, but it’s not uncommon to see Spanish grape varieties as well. 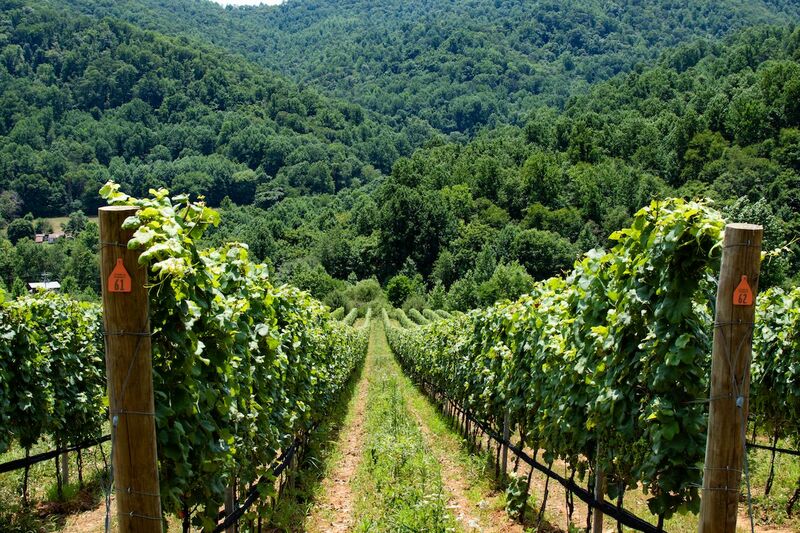 Some of the most respected Virginia wineries grow Italian grapes like barbera, sangiovese, and nebbiolo. Many grow chardonnay and viognier. Even a local American grape, Norton, gets love from Virginia winemakers. There’s no single definition for Virginia wine. A somewhat cynical take from that is that Virginia hasn’t found its groove yet. 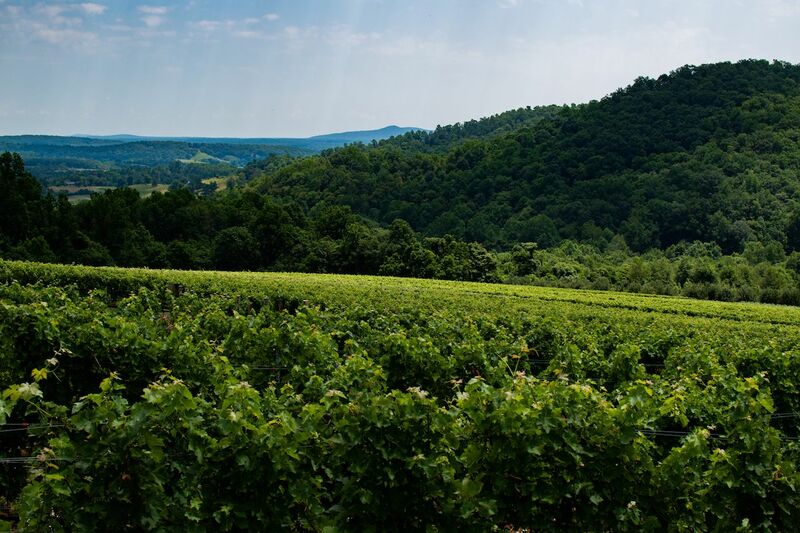 Virginia’s AVAs don’t dictate what grapes to use, and the cost of doing business in the state is low enough that the wine isn’t totally dictated by market demand. That’s led to a free-flying, try-everything attitude. Looking back on Virginia’s long history, maybe we shouldn’t be surprised. The state’s history is filled with winemakers trying, then failing, and then trying again. The cycle of failure means Virginia’s wine country has been innovating its way to relevance from the start. Grapes were one of the first things that colonists in Jamestown noticed in the new world. Writing about the local landscape, Captain John Smith of Pocahontas fame noted that grapes were “in great abundance in many parts that climbed to the tops of the highest trees.” The taste didn’t quite match up to the wine made from European grape varieties, so the settlers took a different route. In 1619, Virginia passed a law that required every male to plant 10 vines imported from Europe. Growing conditions proved too tough, and a similar attempt to grow European grapes a century later by Thomas Jefferson, America’s “first distinguished viticulturist,” failed as well. Finally, after another 100-plus years of Virginia wine starting up then stopping, another innovation in grafting created Virginia wine as we know it. Italian viticulturists Gianni Zonin and Gabriele Rausse arrived in 1976 and grafted vinifera buds to the rootstocks of native American grapevines. 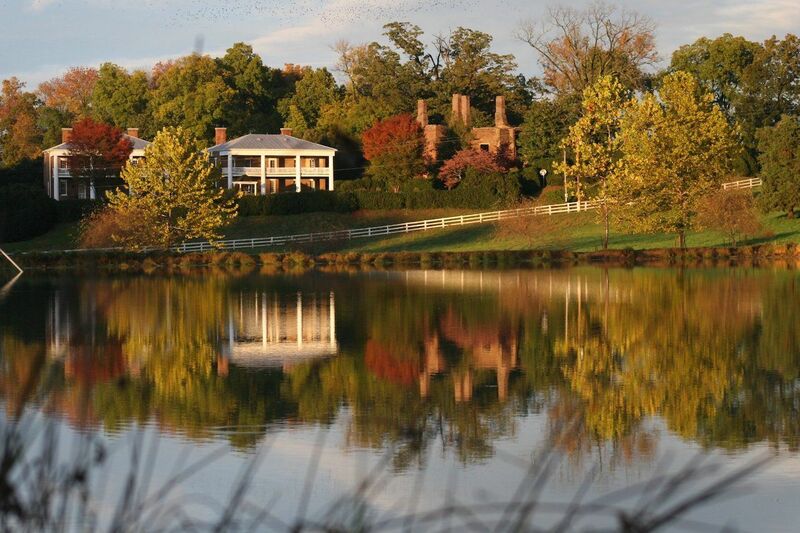 To everyone’s surprise, it worked and Rausse became known as the “Father of the Modern Virginia Wine Industry.” The winery, Barboursville, still makes some of the most highly regarded wine in Virginia. Using Rausse’s techniques as a starting point, Virginia went from six wineries in the 1980s to more than 270 today. The winemaking world is divided between Old World wines (from Europe) and New World wines (from everywhere else). The former continues to have a heavy influence on the latter to this day, partly because of the quality of European grape varieties, partly because of learned tastes, and partly because of colonization. But Old World winemakers are required to follow strict rules. Less market influence and open laws allow Virginia winemakers to try things like making wine using 100 percent petit verdot, a grape traditionally only used for blending in small amounts, or 100 percent roussanne. Viognier, a grape not widely grown outside of France, is another example. Virginia declared viognier as its signature grape in 2011, and more than 100 winemakers use it. Despite being relatively widespread, each winemaker is still experimenting with different styles rather than there being a uniform flavor profile. Virginia’s viognier is heavily oaked by some, and not oaked at all by others. Depending on where you go it can be sweet or bone dry. Then there’s petit manseng, a grape that few vineyards outside of southwest France work with that’s almost always blended or made into a sweet wine. Even people with a high level of wine knowledge are generally unfamiliar with the grape. Yet, when handled the right way, it’s perfect for Virginia’s tough growing conditions. 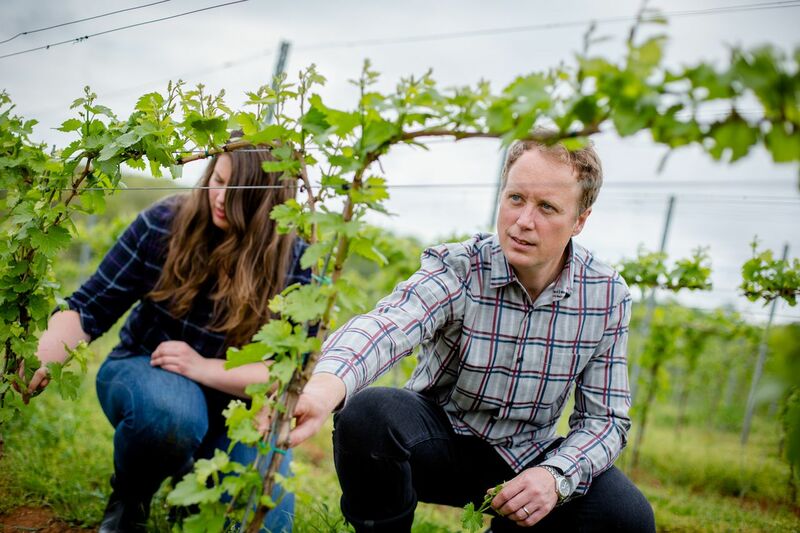 Virginia winemakers are capitalizing on that to make some of the only dry petit manseng wines in the world by experimenting with harvest times, malolactic fermentation, and aging on the skins. Today, you can find 100 percent petit manseng from Early Mountain Vineyards, Michael Shaps Wineworks, and others. Virginia’s single variety petit manseng and petit verdot wines show the opportunity in the region. Wine drinkers aren’t going to walk into a Virginia winery and ask for either of those grapes by name. Winemakers are able to experiment without getting too bogged down by sale numbers, however, because many sales are done straight from the winery where consumers can be educated while they drink, instead of going in with the mindset that they only like pinot noir. Experimentation is far from over. Other grapes being tried out in Virginia include albarino, tannat, and gamay, as well as hybrid European and American varieties like chambourcin and vidal blanc. All this is to say that while current experimentation points to truly unique wines like varietal petit verdot and petit manseng, the future could result in something entirely different. “With my husband, we are sometimes calling Virginia wine industry the ‘Wild West,’” Katell Griaud, winemaker at Slater Run Vineyards, said. Griaud worked in France and New Zealand before coming to Virginia. Virginia is along the Eastern Seaboard, but earns a nickname like the Wild West because people can plant anything, anywhere. It’s also because there’s a high turnover rate of wineries in the area looking to establish themselves in Virginia’s wine scene. Virginia, of course, isn’t the only region with an experimental and innovative edge. The story of modern American wine in general is a story of upstart regions trying to prove their wine is worth a shot. Take the Judgement of Paris. In 1976, California winemakers pitted their cabernet sauvignon and chardonnay against French Bordeaux wines, which were widely considered the best in the world. Judges tasted them blind and chose the Californians. Voilà: California was the most innovative and interesting region stateside at the time. Then came the Robert Parker days, when high alcohol, heavily oaked wine from California was deemed not just avant garde, but preferred. Wineries around the world started copying what the region was doing. More recently, there’s been a focus on wine made outside of the powerhouse California regions. The New York Times wine critic Eric Asimov wrote in 2017 that “Oregon is right now the single most exciting winemaking area the United States.” He also added that great things were happening in Washington, California, New York’s Finger Lakes region, Michigan, Vermont, and Texas. Notably, he left Virginia off his list. In fact, a cursory search of “Eric Asimov” and “Virginia” shows his writings about Virginia wine are limited to stories on shipping legalities and a disagreement about whether a Virginia red wine was the best choice for a meal. All qualities that could be said of today’s Virginia winemakers. Not every experiment is a game changer. For every great Virginia wine I’ve had, there have been one or two “meh” to unpalatable ones. Innovation, after all, is just as much about finding out what doesn’t work as it is about finding out what does. But unlike the cutthroat industry on the West Coast, where vineyards have to make their cabernet sauvignon and make it right lest they be run over by the competition, wineries in Virginia can afford a misstep. Local buyers support their local wineries, and as long as the wine is being bought, winemakers have the economic capacity to push boundaries.